Alan Caruba's blog is a daily look at events, personalities, and issues from an independent point of view. Copyright, Alan Caruba, 2015. With attribution, posts may be shared. A permission request is welcome. Email acaruba@aol.com. I confess I have always been wary of intellectuals. They love arcane theories that often have little to do with real life and this is particularly true of eco-intellectuals who have embraced a panoply of lies and claims about the “environment”, “fossil fuels”, “sustainability”, and other notions that permit them to bloviate without once addressing reality. This has been a week of eco-propaganda on a global scale. On Sunday there were “Climate Marches.” On Tuesday there will be a UN “Climate Summit”, and there will likely be an avalanche of nonsense in the media intended to make us believe we have control, influence, or impact on the climate when it is obvious to the rest of us that we—the human race—have none. 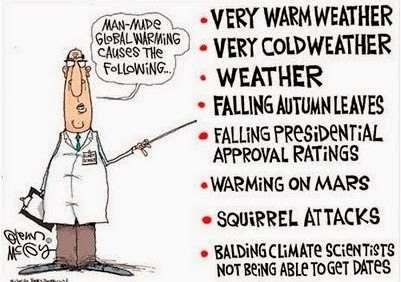 In the past nearly two decades we have all been experiencing not a warning, but a cooling of planet Earth. 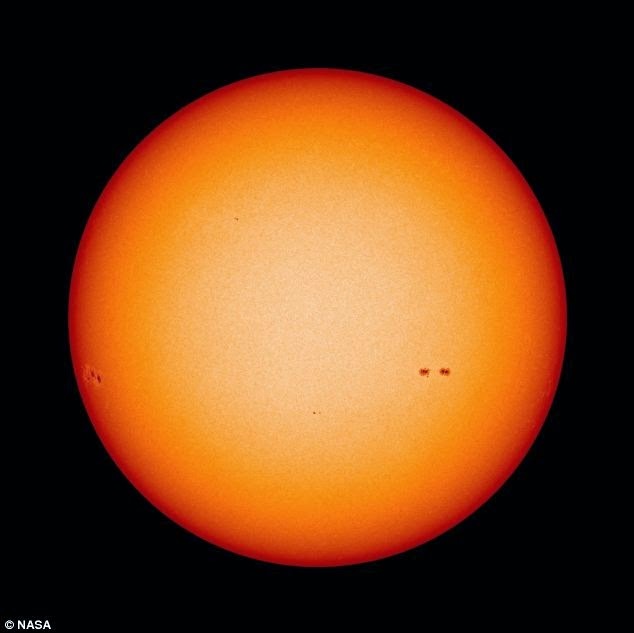 It has nothing to do with us and everything to do with the Sun that has been in a low cycle of radiation—less heat! A friend alerted me to an article in the August 22nd edition of the New Republic, a famously liberal magazine. “Global Warming Is Just One of Many Environmental Threats That Demand Our Attention” is the title of Amartya Sen’s article. He is a Nobel laureate in economics, a winner of the National Humanities Medal, an author, and teaches at Harvard University. There were two immediate red flags that caught my attention. First was that he is an economist and the second was that he was writing about “global warming” as of it was happening. In early September I had written about another economist who had an opinion published in The Wall Street Journal. It was ludicrous in terms of his complete lack of even the most basic science he was either addressing or ignoring as he too warned of horrid environmental portents to come. Economists should stick to economics. If you suffer from insomnia or have a fondness for reading sentences filled with words rarely used in common communication, you will find that Sen’s article will either put you to sleep or, more likely, give you a migraine headache. The article is an insufferable platform for him to demonstrate his Nobel certified intellectual brilliance, while possessing very little understanding of science or what we ordinary people call common sense. “Our global environment has many problems. If the high volume of carbon emission is one, the low level of intellectual engagement with some of the major environmental challenges is surely another.” That’s how Sen began his article and, in the very first sentence, he reveals his ignorance by referring to “carbon emissions” instead of “carbon dioxide” (CO2) emissions. The latter is a so-called “greenhouse” gas that the Greens keep telling us is trapping huge amounts of heat in the Earth’s atmosphere that will surely kill us all. CO2 is about 0.04% of the entire atmosphere, the least of the gases of which it is composed. It doesn’t trap heat, but it does provide the “food” that all vegetation requires to grow. We carbon-based humans exhale CO2 after we breathe in oxygen. It is part of the natural cycle of life between animals and the vegetation that releases oxygen; a perfect balance of nature. Suffice to say that Sen’s very lengthy article is typical of the eco-intellectual disdain for virtually any form of energy to serve humanity except for the two least reliable, wind and solar energy. There’s a reason why mankind turned to coal, oil and natural gas. It was vastly abundant and released large amounts of energy for transportation and other benefits that include the production of electricity. He’s no fan of nuclear power either. (I guess we should all go back to whale oil, only we won’t because we love the whales.) “There are at least five different kinds of externalities that add significantly to the social costs of nuclear power” writes Sen, but who else refers to “externalities” of nuclear power? Okay, why not just say there have been two bad accidents, Chernobyl and Fukushima, and leave it at that. That still leaves a lot of safely performing nuclear plants here and worldwide. We do not live in a world without risk or trade-offs. For lack of enough pipelines, a lot of oil is being transported by rail and there have been accidents. Around the world there are coal mining accidents. Even solar farms literally sizzle birds to death that fly over them and wind turbines chop them into little pieces. Mother Nature does not care what happens to us when she conjures up a volcanic eruption, a flood, a wildfire, a hurricane or blizzard. Humans have learned to either flee these things or wait them out in the safety of their homes. That’s what modern life is all about and it is a hundred times better than in the past when people were lucky to live to the age of sixty. Many died much younger from plagues of disease and we are watching that occur with Ebola in Africa. Even simple injuries caused death a scant time ago. “There are empirical gaps in our knowledge as well as analytical difficulties in dealing with the evaluation of uncertainty.” Huh? What? This is intellectual gobbledygook, a substitute for saying that much of the time we don’t know what the future holds. What we do know is that the Earth is 4.5 billion years old and that we humans have developed what we call civilization over the past 5,000 years, a blink of time in eternity. We should know by now to accept the Earth, the Sun and the galaxy in which we live for what it is and stop bothering to embrace idiotic notions that we have any control or that we are causing so much “pollution” the Earth cannot exist much longer. You know what we do with the mess of stuff we produce and throw away? We burn it or we bury it. We even recycle some of it. This keeps archeologists busy as they examine the garbage our not-too-distant ancestors left behind in their caves. Thankfully, none of them were economists. Your donation is very special because it signals your support for Warning Sign's effort to provide the best information and insight possible. Is a Gay Football Player News? I am and have been for a long time a writer by profession. I have several books to my credit and my daily column, "Warning Signs", is disseminated on many Internet news and opinion websites, as well as blogs. In addition, I am a longtime book reviewer and have a blog offering a monthly report on new fiction and non-fiction.